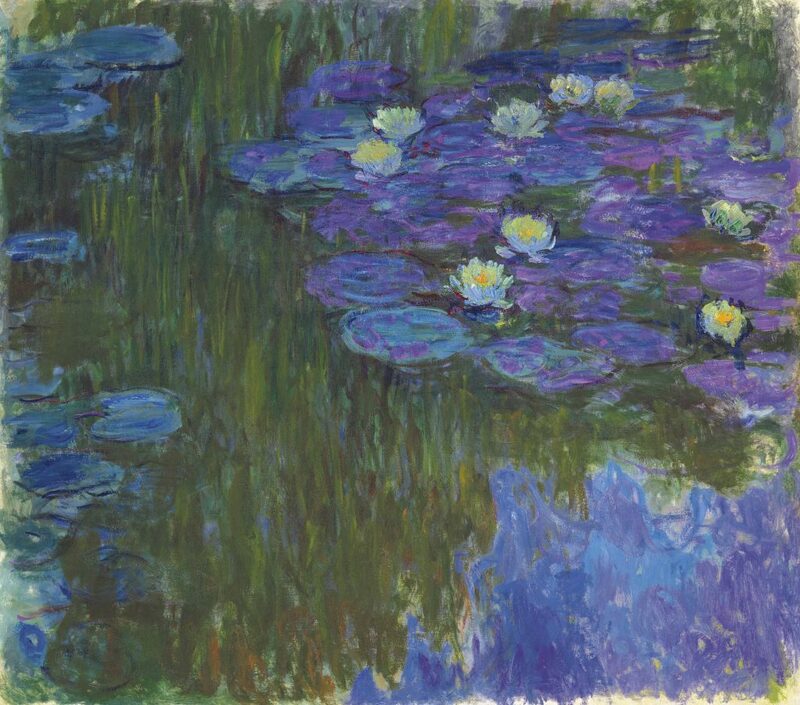 Claude Monet’s Waterlilies in Bloom (Nymphéas en fleur) sold for a staggering $84,687,500 at Christie’s New York. Part of the Rockefeller collection every lily in this painting is in full bloom. Waterlilies in Bloom belongs to a collection of paintings Monet painted between 1914 and 1917, as war broke out in Europe. During this 3 year period Monet painted over 60 waterlily paintings and these wartime compositions tend to be much more daring in their colour schemes than previous Nymphéas paintings. 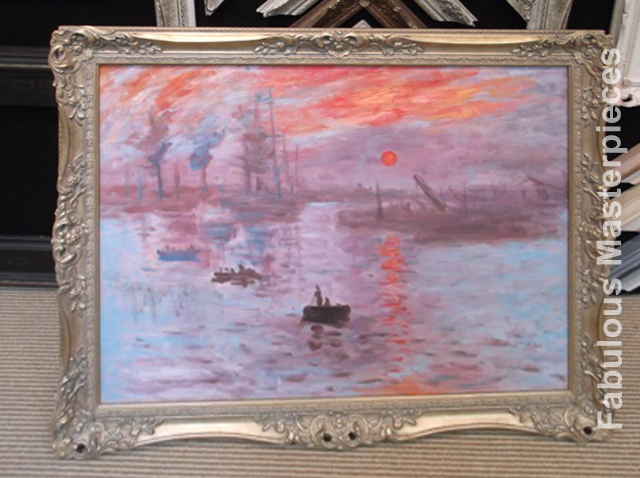 Would you like to have a fine art replica painted of Monet’s Waterlilies in Bloom? 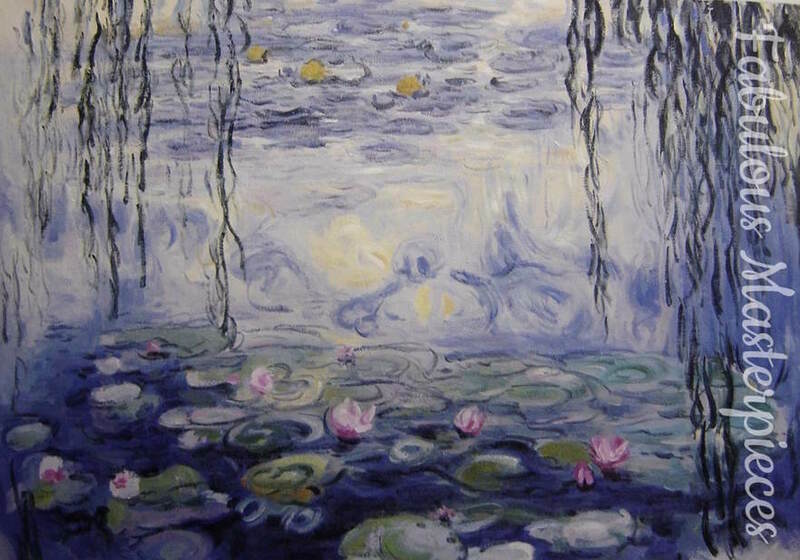 If you would like to have a hand painted fine art reproduction of Monet’s Waterlilies in Bloom in its original dimensions 160cm x 180cm or to any size of your choosing please email: tim@fabulousmasterpieces.co.uk .We have painted a lot of Monet reproductions over the years so please also take a look at previous examples of our work.